Caitlin Meyers assists clients in litigation matters, researching and drafting legal documents related to the challenges businesses face. Her practice includes defending clients against claims of medical malpractice, as well as a broad range of other general commercial litigation, and she is a member of the firm's energy industry group. She is adept in all phases of discovery and draws on her strengths in research and problem-solving in her interactions with clients and the courts. During law school, Caitlin spent a semester working as a Rule 13 licensed student attorney in SLU’s Catholic Legal Assistance Ministry Clinic. Caitlin also interned for Legal Services of Eastern Missouri. In her work for LSEM’s family law unit, she drafted documents including pleadings and subpoenas, and conducted legal research. Caitlin served as the notes and comments editor for the Saint Louis University Law Journal. 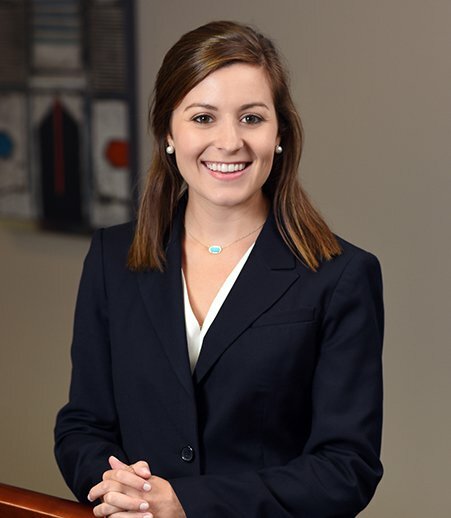 Caitlin first joined the firm in 2014 as a summer associate, assisting primarily with oil and gas issues. Before law school, she spent two years as a legal assistant at a Kansas City litigation firm, helping with trial preparation and legal discovery.